There has been an aggressive amount of celebration around Jamaica’s 50 years of independence, and one of the latest being well-respected UK magazine Record Collector. The magazine’s editor Ian McCann has with a little help from a bunch of writers, DJ’s and collectors picked ten great 45s for each year the reggae island has been independent. The 500 (!) vinyl singles were recorded in Jamaica by Jamaican artists and cover 50 years. Some of them being rare as hen’s teeth, with Rocky’s [Anthony Ellis] Studio One single The Ruler being the most valuable with a price amounting to £300. The list covers almost every reggae genre there is and includes ska scorchers such as Desmond Dekker’s King of Ska and Justin Hinds’ Carry Go Bring Home, but also rootsier gems like Sylford Walker’s Burn Babylon and the late Prince Far I’s dread Heavy Manners. There are also plenty of smash hits – Shaggy’s Oh Carolina, Gyptian’s Hold You and Bob Marley’s Iron, Lion, Zion being some of the biggest. If you want to acquire all 500 singles it’ll take a lifelong search and will most likely cost you a minor fortune. Happily enough we live in a digital age and the majority of the tracks are available online. So to help you get that impeccable collection of Jamaican music covering the past 50 years I’ve made it very cheap and almost effortless for you by making a Spotify playlist. The list starts in 1962 with Derrick & Patsy’s Housewife’s Choice and ends 50 years later with Jah Cure’s Nothing. By listening to the list from beginning to end you’ll hear how varied reggae music is and also be able to hear how the music has developed over the years. Naturally all 500 songs weren’t available on Spotify, and about one hundred are unfortunately missing. Also, the versions available are not always the actual single version, since reggae artists are famous for recording the same track for different producers. The decades that are in the greatest need of a satisfactory digital reissue program are the 60’s and 70’s. However, most tracks by well-known artists are available, while the more obscure ones are unavailable. By downloading the playlist you can listen to all 388 tracks, but you’ll not get all the indispensible information given in the actual article. Therefore I suggest you head out to your local news stand, record shop or website to get yourself a copy. Highly recommended reading. Download the playlist here and enjoy the music. 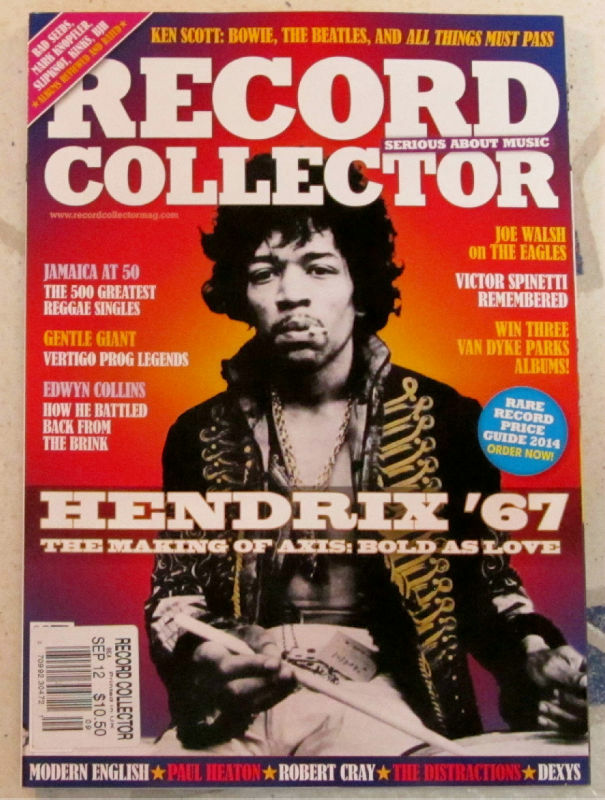 Thanks to Record Collector for making the huge effort to compile it.